The independence of Paraguay from Spain was declared on May 1811 after a bloodless revolution led by José Gaspar Rodríguez de Francia. Paraguay Independence Day is a public holiday celebrated for two days on May 14–15. The territory of present-day Paraguay had been inhabited by the indigenous peoples for at least a millennium before the arrival of Europeans. The first Europeans to set foot in the area were the Spanish in 1516. The first Spanish settlement in Paraguay, Asunción, was founded in 1537 by the Spanish explorer Juan de Salazar de Espinosa. Its full name was Nuestra Señora Santa María de la Asunción (Our Lady Saint Mary of the Assumption) because the city was founded on the feast of Assumption on August 15. Asunción eventually became the nucleus of the Spanish colonial province of Paraguay. In 1542, the province became part of the newly created Viceroyalty of Perú comprising the modern-day countries of Argentina, Bolivia, Chile, Colombia, Ecuador, Guyana, Panama, Peru, Paraguay, Uruguay, and Venezuela. The authority of the Viceroyalty of Perú over Paraguay was nominal, and Paraguay was notorious for its numerous revolts against the Spanish crown. There were constant tensions between the settlers and the colonial authorities. In 1776, several former Viceroyalty of Perú dependencies, including Paraguay, became the newly established Viceroyalty of the Río de la Plata. The Napoleonic Wars in Europe weakened the ability of Spain to maintain control over its American colonies. In 1808, Napoleon forced King Ferdinand VII to abdicate, and Napoleon’s brother Joseph Bonaparte ascended the Spanish throne as King José I. Spanish colonies did not recognize him as king and took advantage of the situation. The 1810 May Revolution in Buenos Aires resulted in the establishment of the United Provinces of the Río de la Plata with Buenos Aires as the union’s capital. It wanted to bring Paraguay under its control, but Paraguayans wanted freedom from both the Spanish rule and the United Provinces. On May 14, 1811, Paraguayans overthrew the Spanish administration and defeated Argentine troops that had been sent by the Buenos Aires Primera Junta to subdue Asunción. Paraguay’s independence was declared on May 15, 1811, and a formal proclamation was made two days later. However, it took Paraguay three more decades to be recognized internationally. 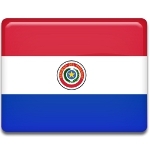 Independence Day events and activities in Paraguay include parades, concerts, fireworks, barbecues and picnics, street parties, football matches, and more. The most colorful parade is held in Asunción, the capital and largest city of Paraguay. Many people wear traditional clothes (straw hats, shawls, sashes) and indulge themselves with traditional dishes. One Paraguayan dish that is particularly associated with Independence Day is sopa paraguaya (Paraguayan soup). Despite its name, sopa paraguaya is actually a spongy cake made with corn flour, cheese and milk. The second day of the festivities, March 15, is also known as Mother’s Day. It honors the contribution of Juana María de Lara to Paraguay’s independence.